Vruddhapitamaha, Dayasagara Sri M. Venkatakrishnaiah popularly known as the “Grand Old Man of Mysore” filled many high roles as educationist, social reformer, rationalist, civil servant, Philanthropist and litterateur and so on. Rightly, he is known as a Grand old man and his contribution to the awakening of independence and freedom among the people of old Mysore state was the most significant. He was a legend not only in his time but continues to be so even now. His contribution to Journalism as well as several spheres of national work were of an exemplary nature. His position in the public life of Mysore was a pre-eminent one. He was loved & respected not only by the people of Mysore, but by the men in authority also during his life time. It seems the present younger generation completely unaware about M Venkatakrishnaiah, better known as Tataiah, one of the architects of Mysore city. 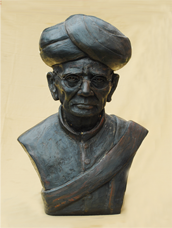 His contribution is significant in making Mysore ‘Shikshana Kashi’ an educational hub and making it into a model city. The versatile personality in Venkatakrishnaiah made him to contribute in a number of fields including Social Service, Literature, Journalism, Education, Polity etc. Throughout his life he fought for the upliftment of the poor and downtrodden. He struggled hard to eradicate untouchablity and for woman education. In his honour, the Mysorians has built a statue at ‘Tataiah Park’ in front of Mysore City Bus Stand. Sri M. Venkata Krishnaiah was known as Dayasagara, the very Ocean of kindness. He was full of the milk of human kindness & started an Orphanage Anathalaya, which housed & continues to house hundreds of students. He became the father of the fatherless. He was a keen social reformer & did his best to eliminate some of the social evils that have crept into our society down the ages. As a social reformer he worked for the eradication of social evils like caste system, untouchability and fought for the educatin of girls and for the remarriage of widows. Like Mahatma Gandhi he was keen on the regeneration of the Civilization and the Culture of India free from corrupting influences. The most important part of Venkata Krishnaiaha’s life work was as a public man and journalist. These two capacities were of course complementary to each other. Besides many beneficent activities one of his great services to the country was to mobilize public opinion in his capacity as the editor of newspaper and act as a critic. But his criticism was of a constructive nature and never destructive. As an educationist of renown, who was responsible for the founding and the maintenance of a number of educational institutions like Marimallappa, Sadvidya, Sharada Vilas, Maharani’s etc. which speaks volumes for the great work which he accomplished as a far-seeing educator. His dominant note had always been that of teacher; not merely the teacher of this special subject or that, but the teacher of the ideals of life and conduct. Also he was a political guru to many budding young patriots. Many of them in after years, distinguished themselves remarkably well as lawyers, Judges, Politicians, Doctors, Journalists and Teachers. He thus laid a foundation for the study of Public questions needless to say, that this is an asset to any country and bound to survive long. Writing Tataiah’s life story means nothing but to write Mysore history itself. Born and brought-up in a poor family at Magge village, Heggadadevana Kote, in 1844, Tataiah had a first-hand experience with poverty and the problems of illiteracy. Hence he focused on education and led an educational movement. Though his formal education was up to Matriculation only, his stint as a teacher and lecturer was more than four decades. There are a number of educational institutions started and maintained by Tataiah including Marimallappa School, Maharani College, Sharada Vilas College and Sadvidya School. He opened many Hostels and asylums to encourage poor students. He started girl’s schools in an era in which women were denying to get education. He encouraged widow remarriages; he opened many skill training centers and job courses exclusively for widows. The notable point is he had opened many schools, hostels and job oriented courses exclusively for Harijans prior to the Harijan movement of Mahatma Gandhi. His contribution for Kannada Journalism is also significant. In a view to motivate Kannada Journalism and to make socio-political awareness among the people he launched a number of Kannada journals including ‘Saadhvi’, ‘Udaya Chintamani’, ‘Vidya Dayini’, ‘Vrittanta Chintamani’, ‘Hita Bodhini’, ‘Sampadabhyudaya’ etc. He also launched many English journals such as ‘Wealth of Mysore’, ‘Mysore Patriot’, ‘The Civil and Social Journal’, ‘Nature Cure’ etc. Tatayya’s contribution to Kannada literature consists of ‘Dhanarjaneya Krama’ (How to earn money), ‘Choragrahana tantra’ (the technique of detecting thieves) ‘Telemacus’, ‘Vidyarthi karabhushana’ (Students manual) etc. In recognisation of its worth, he was elected president of the ‘Akhila Bharatha Kannada Sahithya Sammelana’ held at Davanagere. What else, Tataiah was the one who was responsible in bringing Sir M Vishweshwaraiah from the services of Mumbai Government to the Mysore presidency. Knowing the ability, knowledge and efficiency of Vishweshwaraiah, Tataiah convinced the then Maharajas of Mysore to appoint him as the Diwan of Mysore. From Ravindranath Tagore to Vivekananda to Jawaharalal Nehru, all has showered praises upon Tataiah for his selfless services. Mahatma Gandhi has called him as ‘Bheeshma of Mysore’. His kindheartedness and sympathy for the poor and helpless were well-known; the Anathalaya in Mysore is a standing monument to his service for helping destitute or Orphans. This Website is intended to be a living monument of his activities, the spirit of adventure, the magnanimity, the large-heartedness, the love of humanity & the other great qualities which animated a long life dedicated selflessly to the Service of humanity. Let us follow the path shown by reformers like Venkatakrishnaiah and shed light wherever there is darkness. 1854-67 Came to Mysore. Continued his education in Mysore, Passed Matriculation. 1868 3rd Krishnaraja Odyar breathe his last. C.Rangachaarlu took charge as controller of Palace. 1875 Venkatakrishnaiah Came across Rangachaarlu for the first time. 1876 Got appointed as teacher in Marimallappa School. 1878 Served as Head Master in the same school. 1881 Mysore Rendition (British Government has given back the power to Sri Chamarajendra Odyar). Rangachaarlu got appointed as First Divaan of mysore. Mysore peoples’ representative body has been established. 1884 Venkatakrishnaiah took the control of journal “Hithabodhini” and became the editor. 1885 Venkatakrishnaiah and others urged Sheshadri Aiahyer to constitute Standing Committee. 1890 Standing Committee got started. “Hithabodhini” got closed after the arrival of “Vidyadaayini”. Venkatakrishnaiah kick started kannada weekly “Vrithantha Chinthamani” and English weekly “Mysore Herald”. 1891 “Mysore for Mysorians” movement started. 1892 Venkatakrishnaiah elected as secretary for Standing Committee. 1892-95 Fought for Standing Committee. 1894-95 Fought for Regent Post. 1895 Queen Vaanivilaasa got appointed as Regent. 1897 Srijayalakshmammanni’s marriage. Same time old palace got ablaze. 1897-98 Divaan Sheshadri Aiahyer fell ill.
1898 T.R.A. Thanboochetti assumed the power as acting Divaan. Plague struck the region. 1899 Venkatakrishnaiah started kannada weekly “Saadvi”. Divaan Sheshadri Aiahyer fell ill once again. 1900 Divaan Sheshadri Aiahyer took leave and he resigned for his Divaan post. 1901 Sheshadri Aiahyer’s demise. P.N.Krishnamurthy became divaan. 1902 Naalvadi Srikrishnaraja odyar became the king of Mysore. 1904 Divaan Krishnamurthy expelled Sri Srinivasa Aiayengar from Peoples’ Representative committee. 1905-08 Political movement, called Vande Maatharam, got erupted in the region. 1906 Divaan Krishnamurthy was retired and V.P.Madhavarao became Divaan. 1908 Press law has been implemented. In order to protest against it Venkatakrishnaiah stopped his publications. In Bangalore also, they stopped ‘Mysore Standard” and “Nadegannadi” journals. Law-givers committee came to existence in Mysore. Venkatakrishnaiah got unanimously elected from Peoples’ Representative committee to represent in Law-givers committee. But, Divaan Madhavarao revokes the selection. Tilak has been ousted for Mandale for 6 years. 1909 Divaan Madhavarao got retired. T.Anandarao appointed as Divaan. Venkatakrishnaiah restarted his kannada weekly “Saadvi” and English journal “Mysore Patriots”. 1911 Divaan Anandarao imposed restriction on Right Honorable V.S.Srinivasa Shastri’s speech wich held in Shankaramatha, Bengaluru. That function presided over by V.P.Madhavarao. 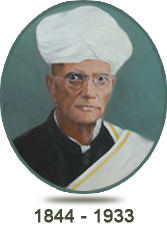 Sir.M.Vishweshwaraiah came to Mysore as chief engineer. Mysore Civil Service exam constrained only for the people of Mysore. 1912 Anandarao got down from the Divaan post and Vishweshwaraiah assumed the power. Venkatakrishnaiah started English daily “Wealth of Mysore” and Kannada daily “Sampadabyudaya”. Started writing “Vidyarthikarabhushana” volumes. 1916 Mysore University came to existence. 1919 Non-Bhraminical movement erupted. Venkatakrishnaiah retired from the post of Head Master of Marimallappa High School. 1919 Vishweshwaraiah retired in January. M.Kantharaaje Urs became Divaan of Mysore. Panjab tragedy, Jalianwaala Bhag incident took place. 1920 Mahatma Gandhi started his non cooperation movement. 1921 Miller Committee report implemented in Bengaluru. 1922 National Congress Committee constituted in Bengaluru. Karnataka Sahitya Sammelan held in Davanagere. Venkatakrishnaiah presided over the sammelan. 1923 Kantharaaje Urs retired from Divaan Post. A.R.Bannerji became Divaan of Mysore. Some political reformations, recommended by Dr.Brijendranath Seel, had thoroughly been implemented in Mysore. 1926 Bannerji retired from Divaan post. Mirza Ismail took the charge. 1927 The Golden jubilee of the reign of 4th Srikrishnaraja Odyar got celebrated. Gandhi opted Nandi hills for his sojourn from the hectic life of politics. Then he visited Mysore. Meanwhile, Venkatakrishnaiah called on Mahatma Gandhi and discussed various things. 1928 Communal riot, regarding Ganesha idol, erupted in Sultanpete, Bengaluru. First Congress Summit held in Mysore. Venkatakrishnaiah was chairperson for the reception committee. An investigative committee was constituted to probe the riot. Ex-Divaan Vishweshwaraiah headed the committee. The committee submitted its report. 1929 The Government imposed ban on all publications for Venkatakrishnaiah. Second summit of Mysore Congress held in Bengaluru. Venkatakrishnaiah presided over that summit. 1932 Press Peoples’ Association was established in Bengaluru. D.V.Gundappa was the chairperson of that association. The association felicitated Venkatakrishnaiah. In a function which held in Bengaluru, Ex-Divaan V.P.Madhavarao drawn the veil of the portrait of Venkatakrishnaiah. 1933 King of the Mysore felicitated Venkatakrishnaiah. Venkatakrishnaiah fell ill. He breathed his last on 8 November. I hold a great respect in my heart for Sri Venkatakrishnayya’s efforts towards Public Service, eradication of discrimination among poor and backward classes of the Soceity. I would like to bestow upon him the title of ‘Bheeshma of Mysore’. I am not secluded from the group of admirers who respect, appreciate Sri Venkatakrishnayya’s Patriotism, Public service and selflessness in contributing his life for the betterment of Soceity. Shri. Venkatakrishnayya is well known for his social activities in mysore and his dedicated life. He has done yeoman`s service for in the field of social service and education. If it be proper to regard the spiritual value of a thing as higher than all its other values, it should be no exaggeration to describe Sri M. Venkatakrishnayya as the greatest among the patriots of modern Mysore.